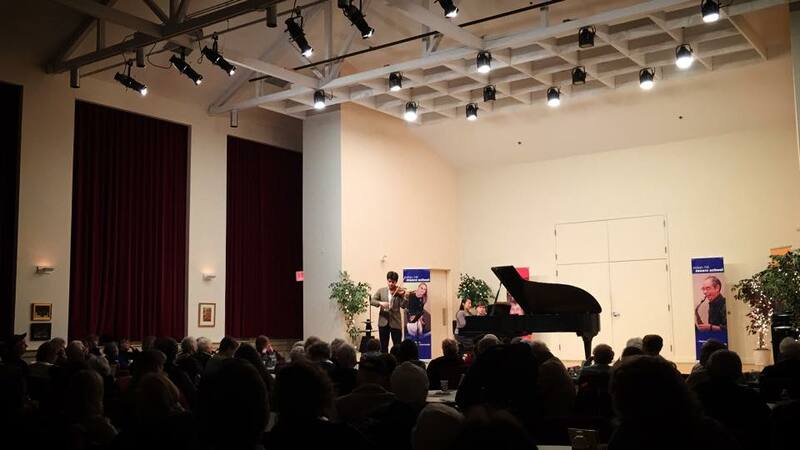 During the Winter 2015 season, we had the pleasure of performing for a sold-out crowd at the Bach’s Lunch Concert Series in Littleton MA. John Guarino and Amy Lee performed duo works by Kreisler, Schumann, Viotti, and Bazzini. 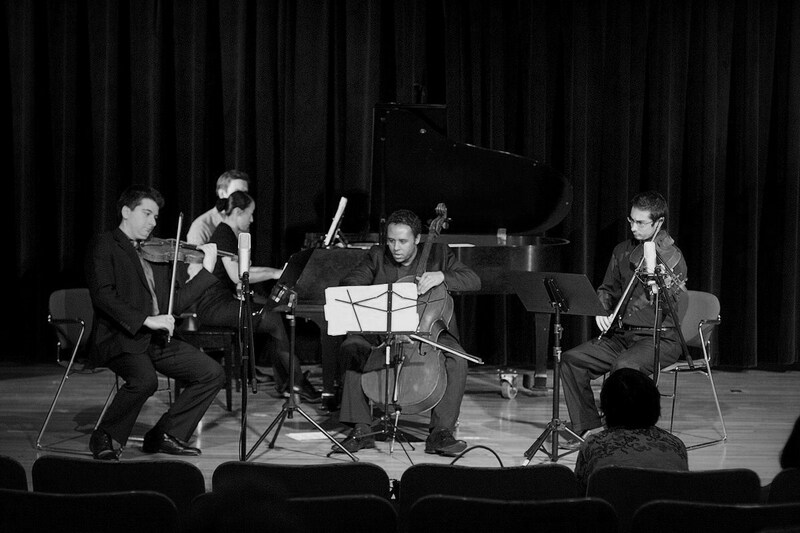 During the Fall 2012 Season, we had the privilege of collaborating with composer Timothy Dusenbury. 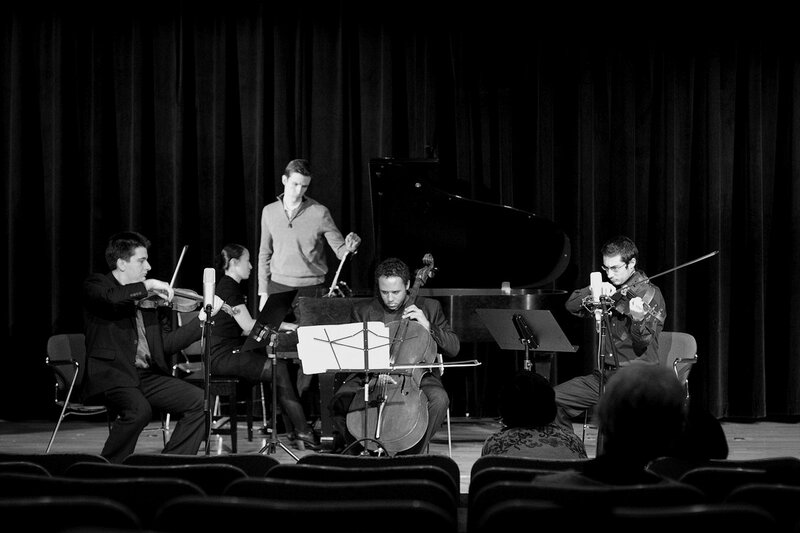 The new work, Seven Short Forms for violin, viola, cello, and piano, was premiered on December 16, 2012, at Bentley University as a part of the 3rd Sundays @ 3 “Bring the Noise!” New Music Series. Please click here to listen to the live performance from the World Premiere. Timothy Dusenbury (b. 1982) grew up near Washington, D.C. 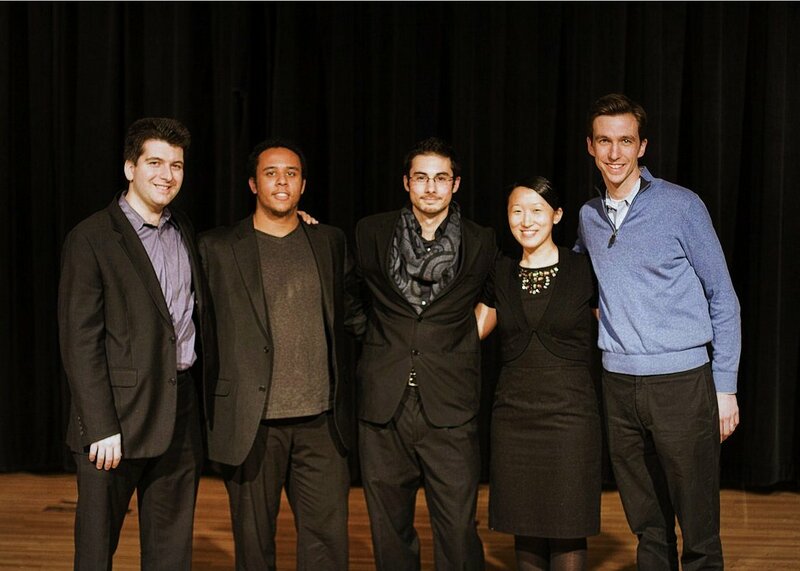 He studied composition with Howard Frazin at the Longy School of Music in Cambridge, MA where he also sang with the Harvard-Radcliffe Collegium Musicum. His works have been performed throughout the United States and his most recent collaborations include work with WordSong (Boston), Six Impossible Things (D.C.), and Words&Music (D.C.). He is currently music director at Trinity School at Meadow View, in Falls Church, VA.